There are consequences to everything you do in life. If you want to know what dire consequences can come from neglecting your carpet's cleanliness, read this post by Denver Cleanpro in Aurora, CO. Call Denver Cleanpro at 303 903 1261 for professional, effective, safe, and green carpet cleaning in Aurora, CO that will extend your floor's lifespan. First of all, if you don't clean your carpets professionally, you will notice that they will start wearing down a lot sooner than they're supposed to. All of the damaging agents will be left in them, meaning that they'll eat away at your precious flooring quicker than normal, leaving you with a torn, old, dull, and sad floor. Avoid this with the help of a professional carpet cleaning team, such as Denver Cleanpro in Aurora, CO. If you paid for the carpeted floors you have in your home, then you're aware of how much they cost to install (not to mention, how tiring and annoying the process to get them can be). That's why it makes financial sense to take proper care of them. You'll be protecting your investment if you do, since you won't have to repair or replace them sooner than expected. There's no escaping bacteria or virus; no matter how clean you are, they are everywhere at all times. However, this doesn't mean that you should completely give up in the fight against them. If you do, you will be allowing your carpeting to stay dirty, which will only give these damaging organisms a place to breed and spread. In the end, this will make you and your family sick. Bacteria and virus aren't the only damaging organisms that could be living in your carpeted floors. Certain bugs, such as dust mites, fleas, ants, ticks, and more, may also make your carpeting their home. This means that they will be reproducing, feeding, and dying in there. Not only that, but they can also affect the health of your entire household. Keep your carpets clean and forget about them. Mold thrives in humid places. This means that, if you ever leave your dirty, carpeted floors wet, you run the risk of developing mold on them. This isn't only bad news for your home's aesthetic and your wallet (since mold may very well ruin your carpeting for good), but for your health as well, as they can increase the instances of respiratory illnesses in your household. Denver Cleanpro can get rid of any pollutants in your floors and make your carpets good as new once more. Call 303 903 1261 to set an appointment for carpet cleaning in Aurora, CO.
As mentioned a few times over, there are several organisms that could live in your filthy carpeted floors (bugs, virus, mold, and bacteria). However, a dirty carpet will also house dust, dead skin, hair, and more. All of this can be hell for someone who suffers from allergies or has another respiratory ailment. Keep them safe with a clean carpet. Your nose may also be greatly affected by the lack of cleanliness in your home. As you may imagine, the materials the carpet is made of can gather more than just filth; they can also harvest some pretty nasty scents. 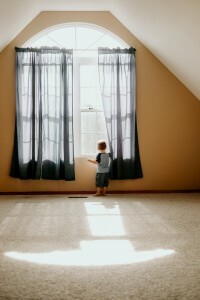 What's worse is that it may come a point in which you don't even notice them anymore, but every time you have someone over, you can bet that they'll be able to smell your home from miles away. The floors make up a very large part of your household. For that reason, if you have a dirty carpet, your whole house will look disheveled, even if you spend a lot of time cleaning the rest of it. Stains, dust bunnies, tears, dents, and other related problems will bring your home's look and feel down. Deep clean your carpet to give life to your place. Last but not least, if you don't like cleaning a regular amount of filth from your carpeted floors, know that it will be a lot harder to get rid of it if you let it accumulate. At the end of the day, it is in your best interest to provide regular cleaning sessions to your floors, and a professional deep cleaning every so often. Call Denver Cleanpro at 303 903 1261 to experience what their revolutionary carpet cleaning method can do for your floors!